I really like this picture of my great-grandparents and their two youngest children. Unlike many photographs I have, it doesn’t seem staged–the clothes are on the line, after all. And the daughter seems to be shooting her father a funny type of look. I’m still toying with ways to include “metadata” with pictures. I realize that when creating graphics files there are other ways to include details such as those I’ve written in black on this document without putting them on the actual image itself. One concern I see is that not all users of graphic images readily access such metadata and some may inadvertently bypass it entirely. 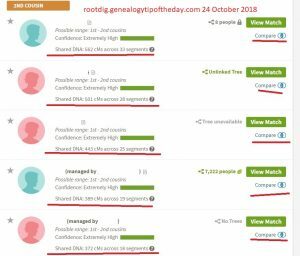 Genealogists who are not necessarily adept with their computer skills may simply copy and paste the image into their own graphics program or genealogical software–thus bypassing any “metadata” that is not an “immediate” part of the image and unintentionally overlooking key information. Who is in the picture is important, but I’m starting to become convinced that some of the “chain of provenance” and “how” we know who is in the picture or where it is taken is important too–just as important. There are many pictures on the internet that are identified, but if one simply “copied and pasted it,” how does one know if the identification was correct? And if the image gets saved without any identifying information, then it’s just an old picture of some dead people. ← One-Eighth Irish or What? And the great thing about what Fred suggested above – you can send the word document out with the picture and your info to relatives and friends and they can add comments to the document and send it back. 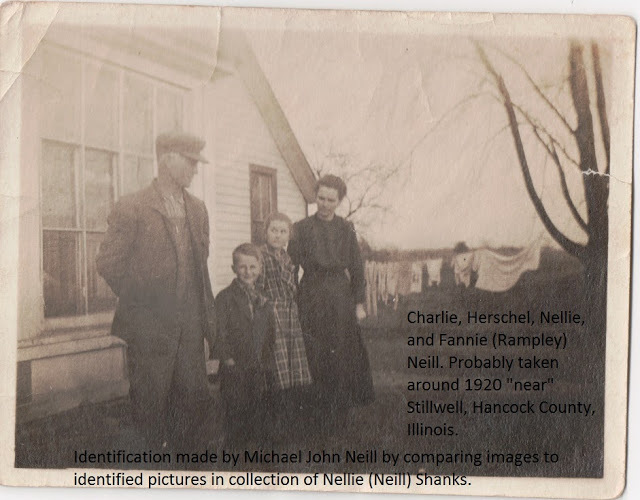 I have found so many relatives that could be named in pictures. Pictures that might have been consigned to the dumpster because “no one knows who these people are”!